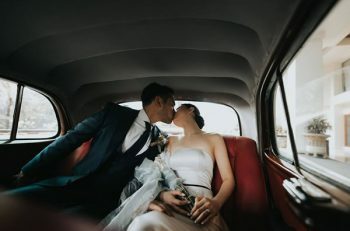 As much as we love to see our girls prance down the aisle in our wedding day, seeing them in their cute flower girl dresses makes us gush over! Just like beautiful little princesses, we usually add accents or highlights into their dress to match the wedding theme. 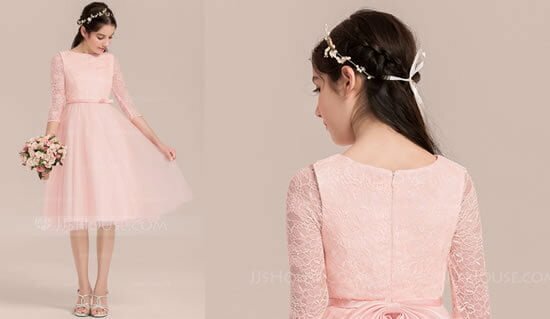 So, instead of going the typical route of just having matching dress colors, here are 5 trendy ways to add accents into your flower girls’ dress that won’t mess your budget! 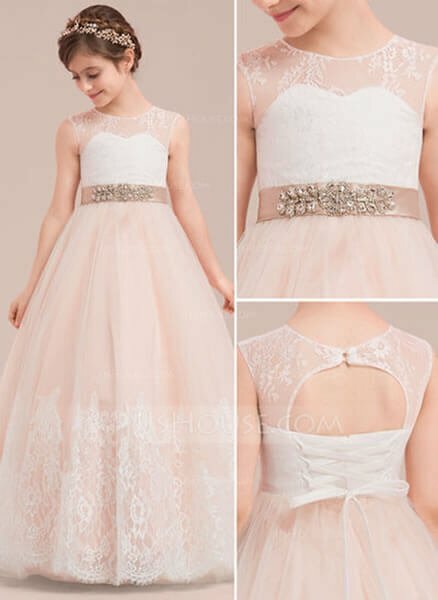 Whether you’re having a hotel wedding or garden reception, integrating your wedding colors into your flower girls’ dress through colored laces is the most popular way to go. You can easily integrate numerous colors and patterns to match your wedding theme. 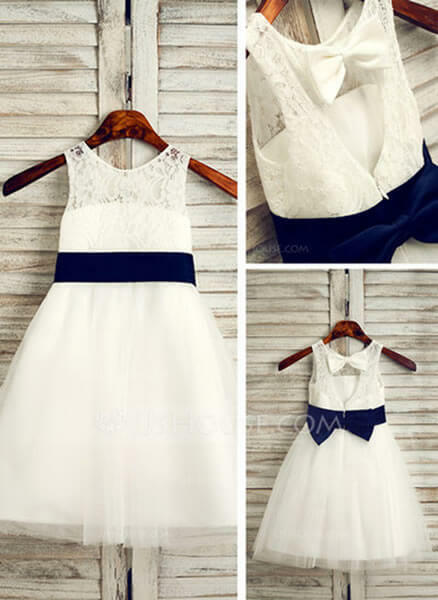 This is by far the most popular way to add accents into your flower girls dresses that shows a lot of impact into the overall attire. A more playful way to add highlight to your flower girls dress is through bows. 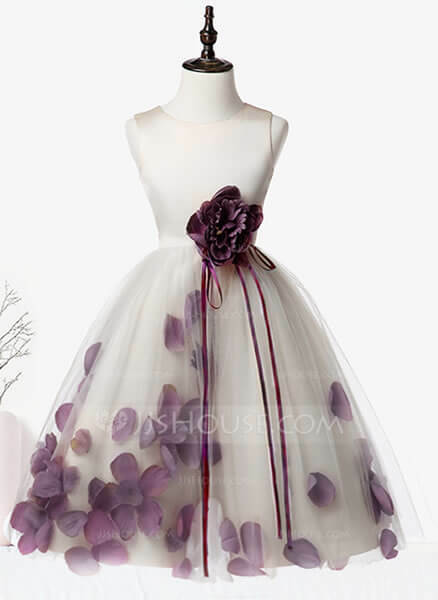 If your going for A-line and ball gown dresses, then matching their bow with your wedding scheme is the best way to go. The level of accent can be dialed up or down depending on the size of the bow and the color that you will use to highlight your color scheme. This adds vibrance to the dress without overpowering the dress itself. 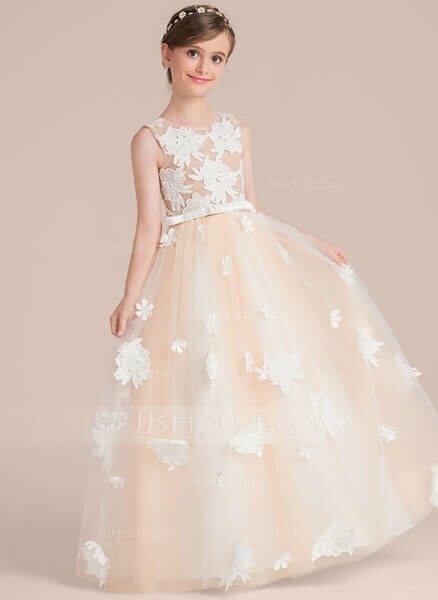 One of the easiest and undoubtedly the most popular way to incorporate your wedding colors into your flower girls’ dress in through their skirt, most especially through tulle skirts. We love to see our girls in princess-cut dresses paired with tulle skirts that highlight our wedding colors, especially for toddler flower girl dresses. Blend the colors with their flower basket and you’ve got yourself a gorgeous addition to your overall bridal wardrobe. Though hair bands are practically not part of the dress, it still contributes a lot to the overall look of your flower girls dress. You can go for a floral tiara or go easy with just ribbons! Hair bands are so easy to match that they have easily become part of the overall attire. It brings the whole wardrobe together which makes it an ideal part to highlight. This may be a bit underrated but wrist flowers truly bring the colors together. Ideal for bohemian themed weddings, having wrist flowers adds tons of colors into the flower girls’ wardrobe without overwhelming the beauty of their dress.